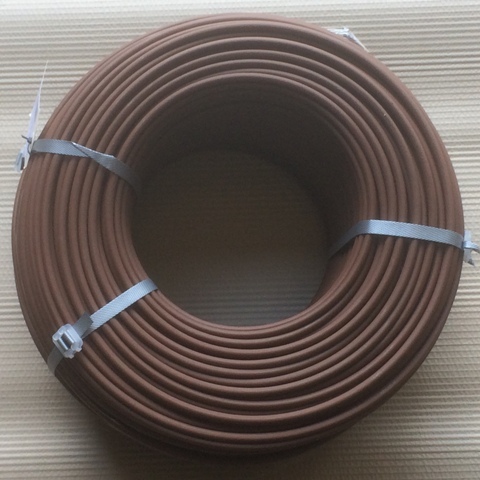 Our brown plastic coated horse fence wire is an economical and safe solution for horse fencing. It is often used a to compliment our brown 120mm rail but can be used alone. 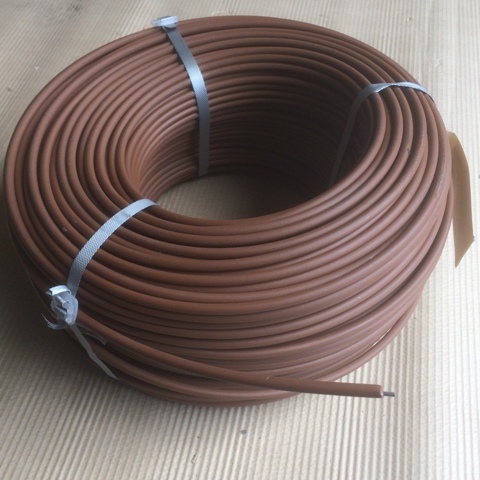 Our coated wire is made from an identical polymer and additives to our 120mm rail providing for an attractive compliment to our 120mm rail fencing. This makes our coated wire perfect for use as the lower rails in a composite fence. 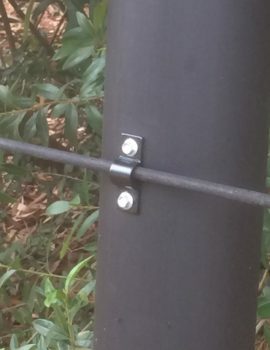 Often the 120mm rail is used at the top of the fence providing for high visibility, with 3-4 rails of coated wire below. 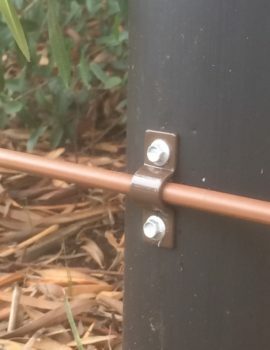 Its 7mm nominal width make it larger than many well known coated wire fence solutions. This extra width provides for extra visibility and the safety of additional smooth coating. Don’t compromise on safety buy the premium Australian made product. The wire is 2.5mm high tensile wire providing for extra strength and durability. Our coated wire products will not break on impact like cheaper sight wire products in the market place. 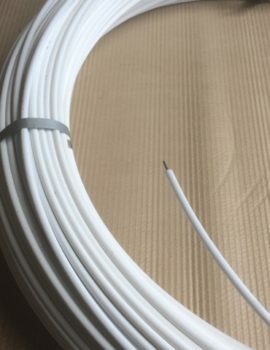 Similar to the 120mm rail, our white coated wire product features the same UV stabilisation and heat absorber additives to provide for long life. Available on a 250 metre roll measuring approximately 730mm diameter. Each roll weighs approximately 17.5kg. So its easy to handle and requires no special spools or handling equipment. This product is available for delivery Australia wide. How to install Plastic Coated Horse Fence Wire. It can be strained with our straining tool and our wire end vises. While our saddle clamps make attachment to interim posts fast and easy. 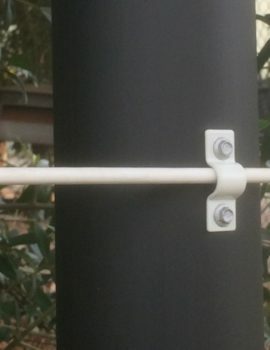 These saddle clamps have a similar design and finish as our standard 120mm interim post brackets, again ensuring our coated wire products complement the 120mm rail in every way. Have a look at our FAQ – How to install Plastic Coated Wire Fencing for installation tips and advice.